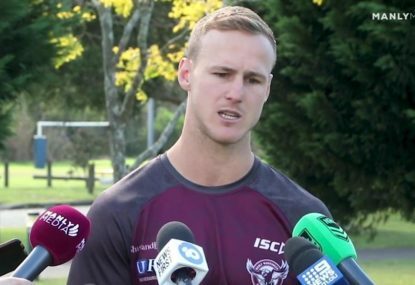 A hamstrung Barrett fronted the media on Thursday for the first time since reports emerged he was set to walk out on the club at the end of the year. When asked if he’d handed in his resignation with two years remaining on his contract, Barrett said he hadn’t but indicated he was involved in negotiations with the club. He said the ball remained in his hands when it came to his future. “For legal reasons I can’t answer those sort of questions today. I would certainly like to be able to,” he said. When asked whether he’d be at the club next year, Barrett was again unable to offer full comment but hoped all would be sorted by the end of the week. “Yes, as I stand here today, yes,” he answered. “But I can’t go into it. I’d like to be able to and I don’t like being out here at 8am when I’ve got nothing to say. Barrett admitted to frustrations that he was again being left to answer questions in a dramatic year at the club. He said he understood fans’ frustration. Chairman and owner Scott Penn is overseas while chief executive Lyall Gorman has been silent as the club only offered a brief statement on Wednesday without shedding any further light on Barrett’s future. “The fans wouldn’t be the only ones frustrated,” Barrett said. “You’d have to ask Lyall and the club (why nothing can be confirmed). I apologise. Barrett also said he couldn’t go into his main issues with the club, although it’s understood a clause in last year’s contract extension promised increased support at a football department level. 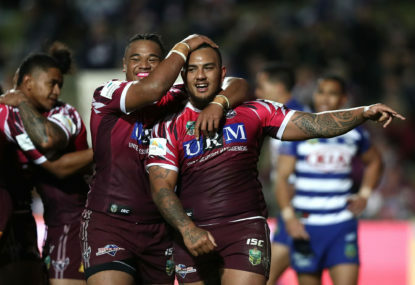 Manly are yet to land a recruitment manager, while they are also operating without a pathways coach and football director. 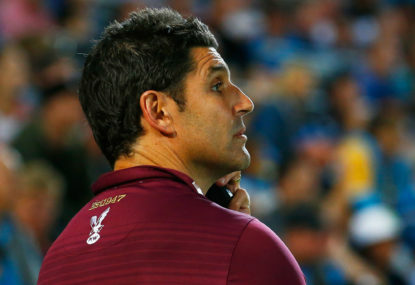 The 40-year-old also said he had yet to be approached by rival clubs for next season, and that he had kept his players in the loop ahead of Friday’s clash with the Gold Coast. Much better mood here than after the game! 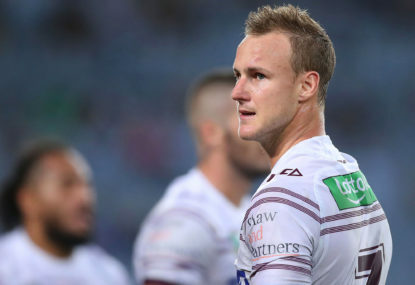 Ben Hunt’s team got the win but it was hard to split the St George Illawarra halfback and Daly Cherry-Evans in the Dragons’ victory over Manly. At least he was polite! Last Saturday night in Newcastle, Mitchell Pearce found himself friendless in no-man’s land. 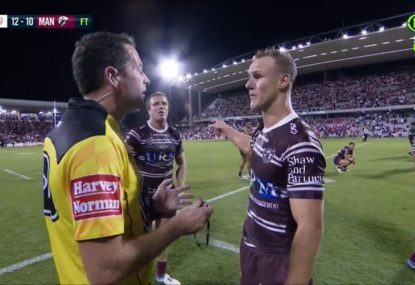 Tom Trbojevic’s NSW State of Origin hopes are hanging by a thread after the Manly superstar was ruled out for up to nine weeks with a serious hamstring injury. The idea of evolving the game has many people asking many questions, holding many opinions and making many arguments.